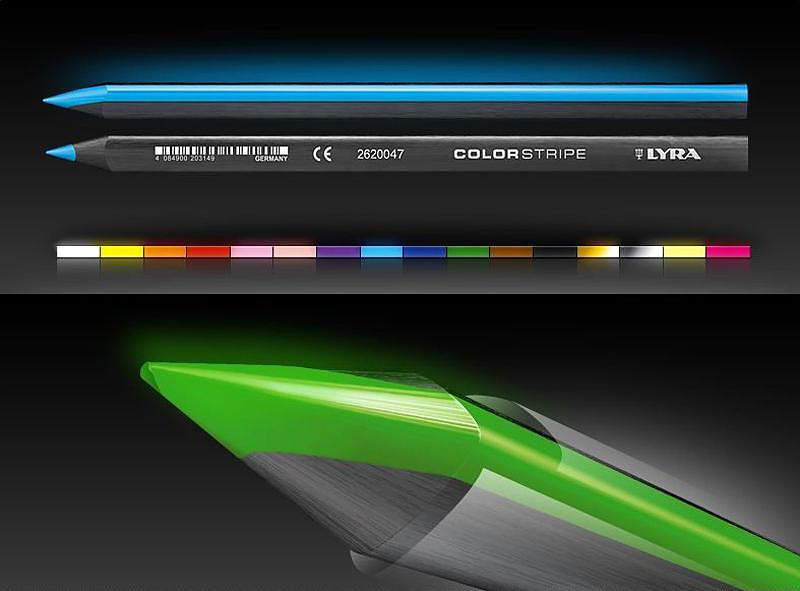 German company Lyra reinvents the pencil with its Colorstripe series. 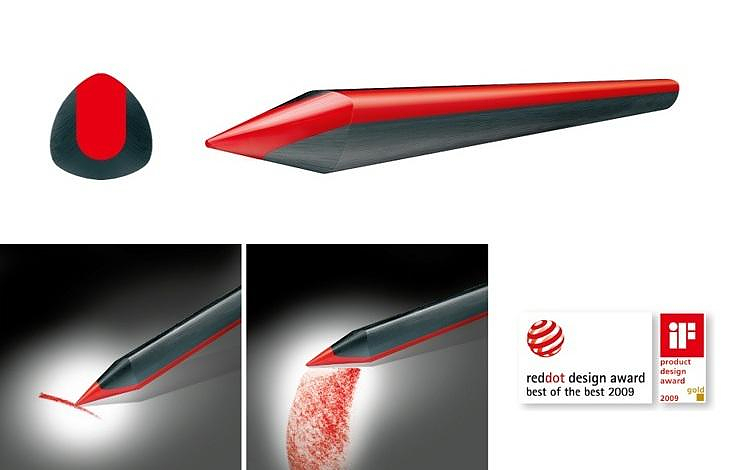 These amazing pencils feature a unique lead design that allows artists to draw thick or fine lines with incredible ease. 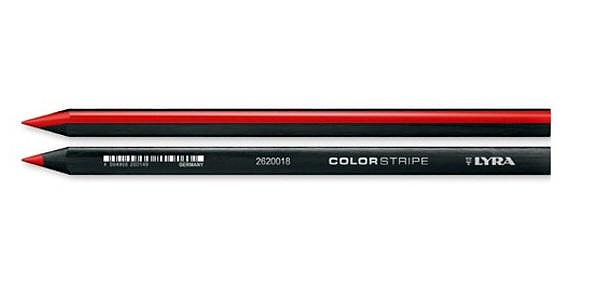 In school, in the office or in the studio, the Lyra Colorstripe pencil is suitable for every purpose. 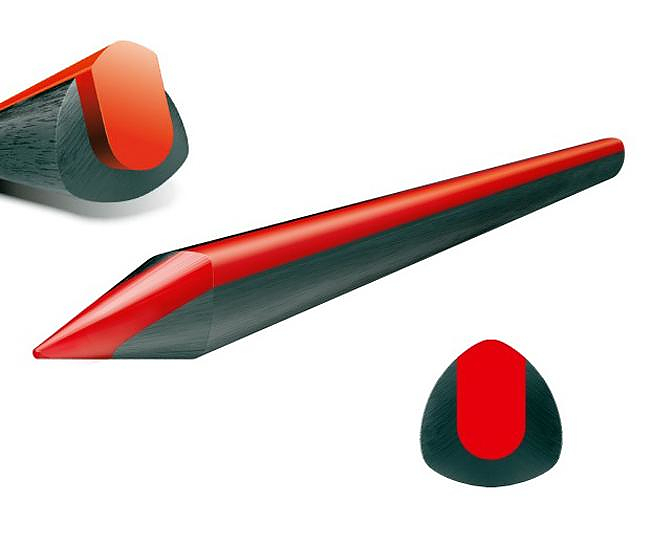 Its bold, purist styling will impress inquisitive classmates as soon as it’s taken out of the school bag just as much as it will on the office desk. 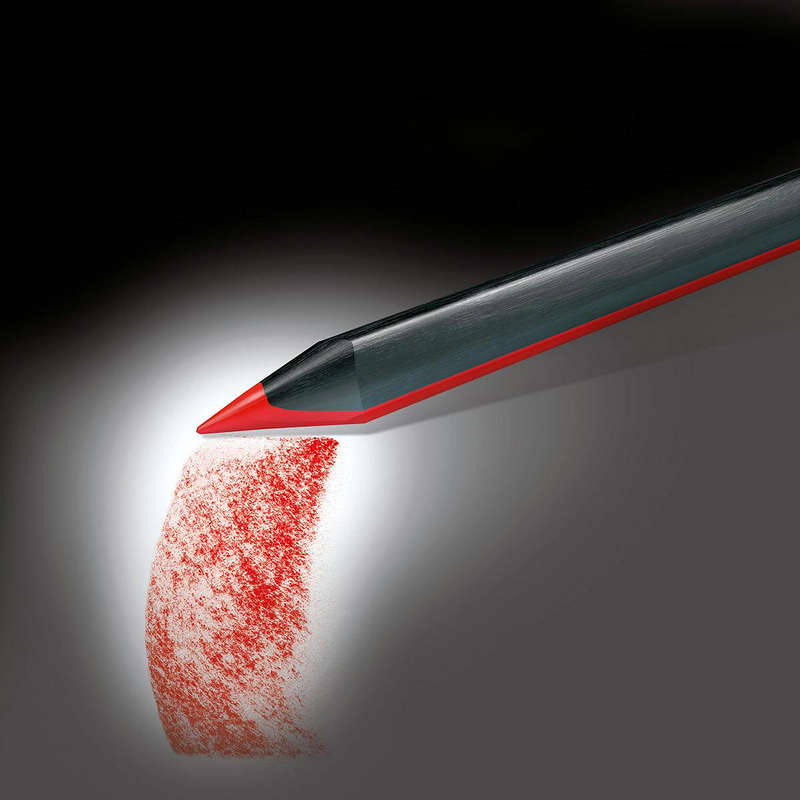 Its sleek and modern design is also practical, as the distinctive triangular shape is optimized for easy holding. 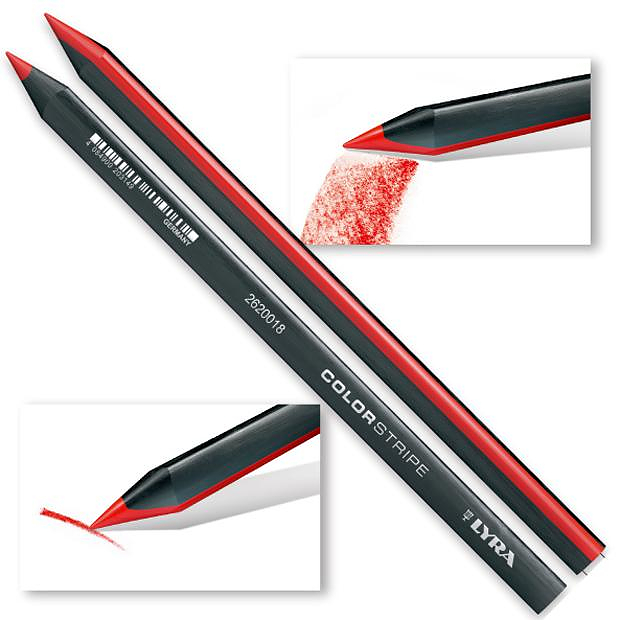 However the true innovation is the unusually thick lead that is visible along the side of the pencil. 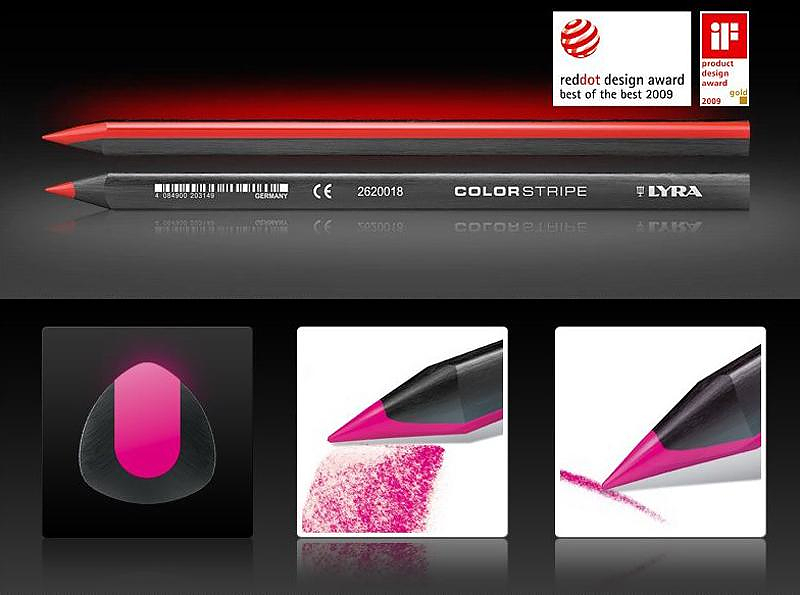 Colorstripe’s lead, with its unconventional shape and design, features three functional innovations at the same time. 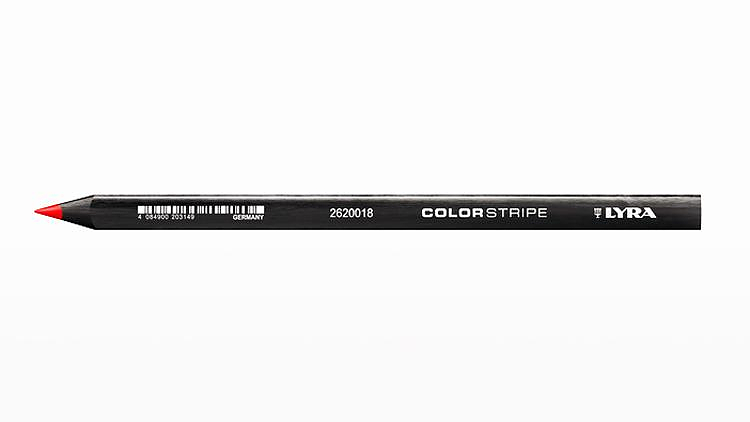 It gives the pencil an unmistakable look, it acts as a visible color code and, and with the broad side face at the point it is effective in covering large areas fast, as well as creating the customary sharp contours. 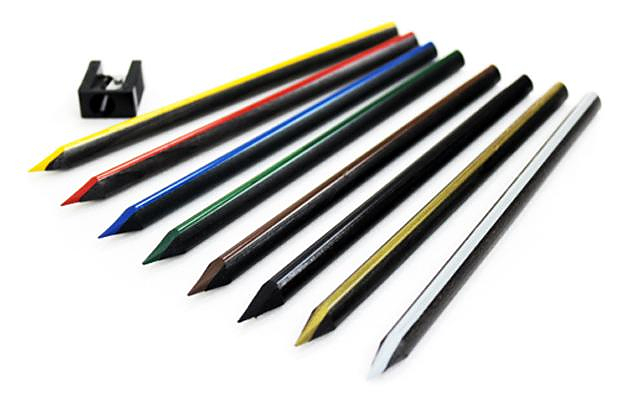 Their innovative lead is waterproof and break-proof (meaning extremely hard-to-break). The lead is encased in black wood on two sides and remains visible on the third side. 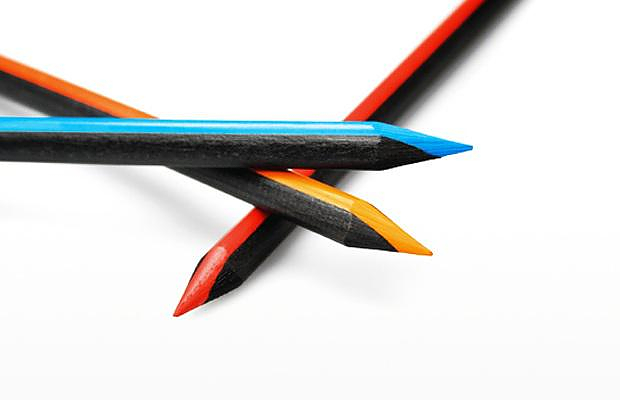 A clear coat of lacquer safeguards the exposed edge until the pencil is sharpened. 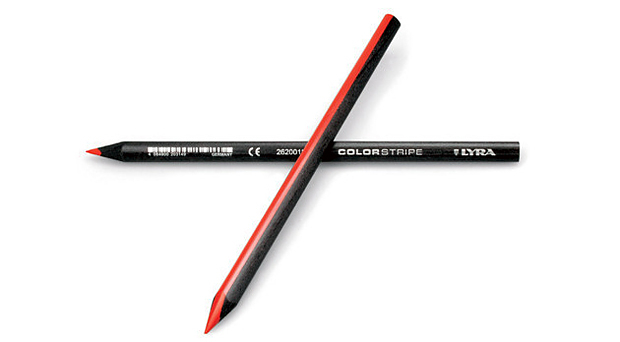 A logically thought-out concept in a striking new form, the Lyra Colorstripe Pencil is indeed a must have product for kids and grown-ups alike.